Flooring is what we are renowned for today and we have hundreds of choices available for your perusal in our main showroom. 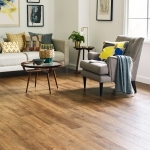 The following commercial flooring ranges from Horsleys are in stock at our Church Street showroom. We offer a free measuring and estimating service and any flooring costing over £8 per square yard will come fitted free of charge.